Speculation has been running high ever since Anne Elisabeth Stengl announced that Rooglewood Press is hosting another fairy tale collection contest. With the advent of the Five Glass Slippers collection very soon to come out from the Press, speculation was still deep. What fairy tale would be chosen next? What will the cover look like? Well, I'm here today to spill all the beans. 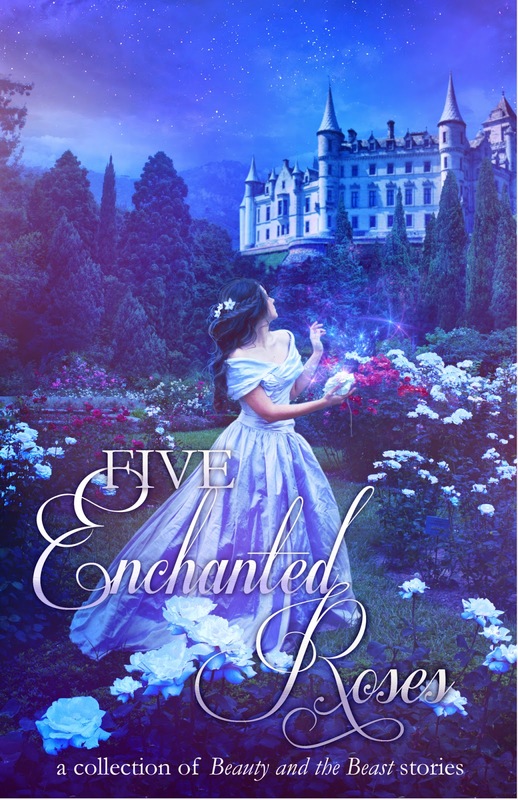 Rooglewood Press will be selecting five winners to be published in theFive Enchanted Roses collection, which will be packaged up with the gorgeous cover you see displayed here. Perhaps your name will be one of the five displayed on this cover? All the contest rules and information (how to enter, story details, deadline etc.) may be found on the Rooglewood Press website. Just click HEREand you will go right to the page. This link will take readers directly to the contest information. This is just about one of the most gorgeous covers in the history of Ever After. I'm slightly disappointed that it is not Sleeping Beauty, for that is what I was hoping it would be... but Beauty and the Beast is a beautiful story as well.